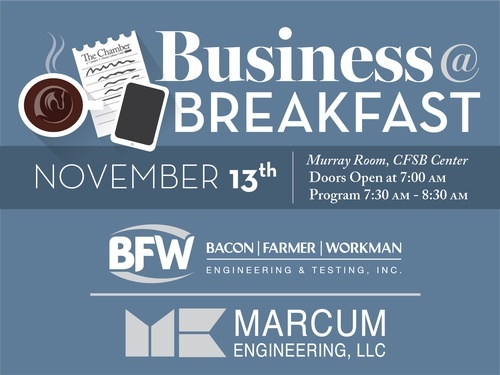 The Chamber's premier event, Business@Breakfast, is the networking event that occurs at 7:30 AM at the Murray Room of the CFSB Center. With an average sold out attendance of 200, you can spend the first hour of your day networking, hearing pertinent updates and issues from national, state and local business and government leaders. Doors open at 7:00 AM.